Marketers aren’t the only ones focused on bottom-of-the-funnel efforts these days. The PPC platforms themselves are introducing new features designed to promote more ROI-driven actions. Pinterest recently introduced a tool to help retailers automatically upload their product catalogs as pins, including real-time pricing and stock info. While not necessarily the golden ticket for us B2B and B2C marketers looking more for lead generation, it’s a hopeful sign that we’ll continue to see more of these bottom-of-the-funnel releases from the other platforms, too. But, we don’t need to wait for that to happen to start implementing some strategies that will help us get further down the funnel and affect ROI. Marketing 101 teaches you about the awareness, consideration, and decision phases, but how much attention are you paying to the huge differences between each? And more importantly, the mindset at each stage, and therefore the different searches people are performing to get the answers and information they’re looking for? This screenshot from HubSpot does an excellent job of laying out the relevant terms and keywords as they apply to each section of the buyers’ journey. In the consideration stage, buyers are starting to zero in on available solutions: a Prius vs a VW Golf, carpet cleaners you can make from common household items vs chemical-based grocery store solutions, AdStage vs any unnamed competitor. In the decision stage, buyers are ready to plunk down the cash but want to make sure they’re making the best decision of the available options. Choose a handful you want to start testing and get them incorporated in your next campaign. Broad Match - This is the broadest match type (obviously). It has high traffic potential but with less relevance. Important individual words could be omitted and certain words can be added (like “jobs”) that dramatically change the intent of a search. I recommend being very conservative in your usage of broad matched keywords. Use them sparingly, apply lower bids, and check your search queries frequently in order to fine-tune your keyword list. Broad Match Modifier - This is similar to broad match. 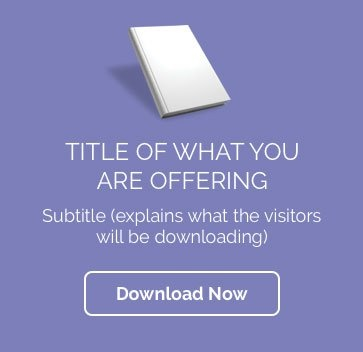 It has high traffic potential and words can still be added to the query. However, with broad match modifier, you can include a + symbol before individual words to require that they be present in the search query in order for your ads to be triggered. Phrase Match - This is the happy medium between broad match and exact match. The keywords must be present and in that order for your ads to display, but words can still be appended before and after them. I recommend using phrase match for most of your keywords. Exact Match - This is the most narrow of the match types. It results in extremely relevant searches because you are able to target an exact query, but the search volume is far lower. Make sure to include exact matched versions of your highest performing search queries. Log in to your Google Ads dashboard and run a search terms report to find out what people are actually searching for. Sort to see what’s performing well already, and consider creating a new SKAG focused on that keyword. Finally, click “Continue to ads” and start creating your ads for this specific SKAG. Pro tip: create at least 5 different ad variants so you can see which of them perform best. Now, instead of using blanket ads to try to encompass every existing interest a potential customer could have, you can use what you learned in the keywords section of this post to create individual ads that speak to the decision phase of a buyer’s journey. Honestly, what did we do before remarketing? Oh, that’s right, obsessed over clicks and impressions and other metrics that it turns out weren’t doing us much favors. We’ve written about retargeting for Facebook, but the principle is largely the same regardless of the platform—someone visits your site so you capitalize on that interest my advertising to them again elsewhere on the internet. In the case of ROI, you can create tailored creative that speaks to the buyer’s bottom-of-funnel readiness. In the example of the fuel-efficient car, instead of ads that tout the benefits of the Prius, serve up ads advertising a Prius sale at your local car lot. Retargeting and the creative in the ads can be used to push a qualified lead down the funnel until they’ve reached the very bottom. The main theme all of these tactics have in common is understanding where your customer’s head is at when their finger is hovering over the buy button. Get that down, and you’ll see CTR and ROI skyrocket.